No website trip broker, booking agent, concierge, fuel or credit card charges to deal with. Prices are for Offshore or Reef fishing trips. No credit card, fuel or booking charges, ever. If you have a large group of 6 or more, I can arrange multiple owner/operated boats like myself. 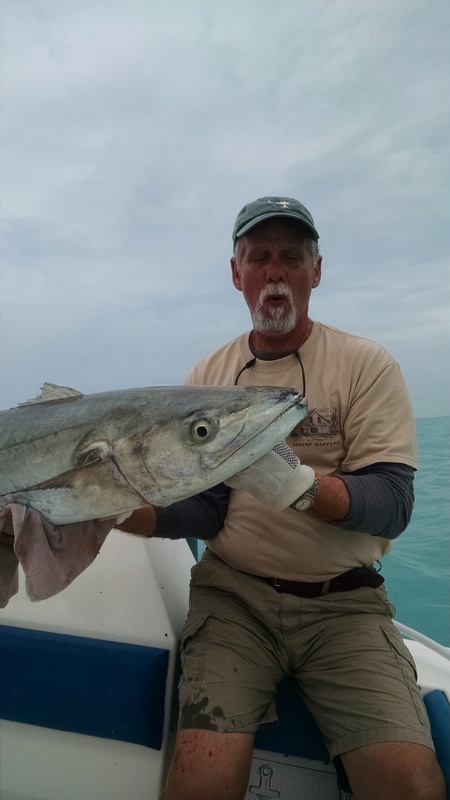 Latest Key West fishing report. Most recent charter pictures, weather conditions and what's biting. Call Capt. Taylor Williams directly at 305-923-6977 if you are in town or looking short term, or send an email with the day or dates you are interested in. You can email me with the form below to get started. 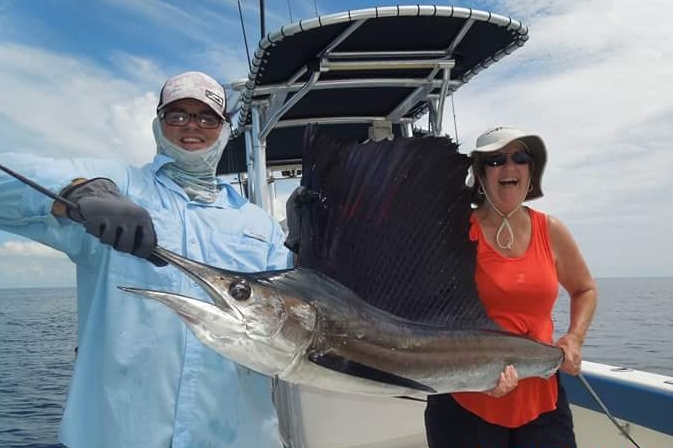 Offshore: Key West's offshore waters provide some of the best fishing in the world. Species such as sailfish, dolphin, tuna, wahoo, and marlin can be caught by trolling, drifting live baits, or anchoring and chumming with live pilchards. People come from all over the world to fish Key West's offshore waters. Mild temperatures and a consistent gulf stream current make it one of the best places to fish in the world. Reef and Wreck: Fishing with live and dead bait, at anchor or drifting for grouper, snapper, jacks, mackerel, barracuda, and sharks. Also, spawning fish congregate at certain times of the year on the main reef line or the bar, Key West's second slightly deeper reef. This can be an excellent way to target permit, mangrove and mutton snappers. This type of fishing provides the best opportunity to catch a variety of species. Shark fishing: This involves anchoring and chumming. The most important part of Shark fishing is current. If there isn't current offshore, I time shark trips to coincide with strong tides without a change in the middle of the trip. You don't want the tide to slack and have to wait for it to turn around and start running again. Types of sharks include blacktip, bull, lemon, tiger, hammerhead, and a variety of others. Kite fishing: Kite fishing is one of the most exciting ways to present live baits to a variety of fish. It is awesome to see a Sailfish, Dolphin or big Kingfish circle a struggling live bait and decide to attack. It is probably my favorite type of fishing in Key West, and is extremely effective in the spring and fall when baitfish, a color change, and predators congregate on the outside edge of the reef. Tarpon fishing: Catching a tarpon in Key West is a lifelong goal for thousands of fishermen from all over the world. Schools of tarpon migrate into the harbor in the springtime, and fisherman line up to get a chance to do battle. The fish range in size from 30 to over 200 pounds. It is an awesome sight to see a 6 to 8 foot fish jump on the end of your line. You can't help but smile. Tarpon fishing involves either chumming with shrimp boat trash, herrings or fish carcasses and drifting baits into the chumline or drifting livebaits such as pinfish, pilchards, herrings or crabs. This is just a basic breakdown of a few types of trips I offer. There are many other techniques and we can always do a few different types of fishing, even on a half day. Prices include all licenses, tackle, bait, ice, bottled water and fish cleaning service. Ziploc bags are provided. I operate out of Garrison Bight, centrally located on the North side of Key West. I do recommend bringing a hat, sunglasses, sunscreen, camera, light food and drinks, and a small cooler or cooler bag to take fillets if you plan on taking fish home. Taxidermy services can be arranged through Grey Taxidermy, the largest taxidermy service in the world. Click above to see more detailed boat pictures, the captain's bio., and get information about fishing aboard the Sea Change!